Vicki from Christchurch sent to me . . .
an angel . 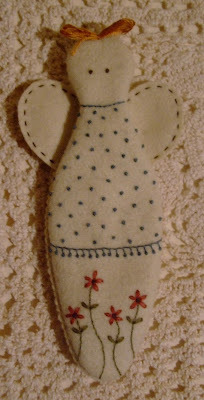 . .
a beautifully hand stitched scissor keeper angel . 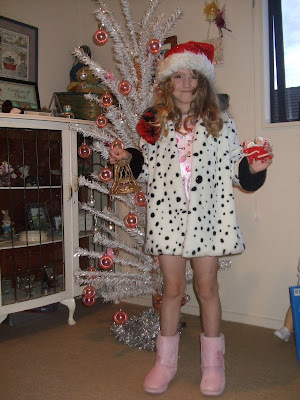 . .
a most appropriate person to open my very own 12 Days of Christmas swap gift, as last night she dressed herself up and called herself . 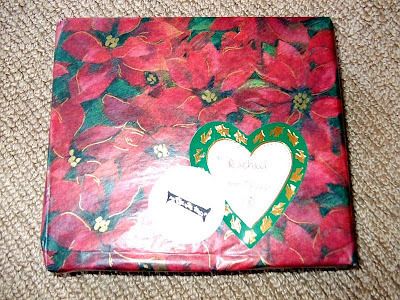 . .
On the second day of Christmas Melanie from Germany gave me, a beautifully wrapped gift from under the tree! I tell you my own Christmas wrapping this year is going to be up graded - a lot!!! Mum and I took part in The Artful Christmas Swap hosted by Holly our Happy Swap Hostess. 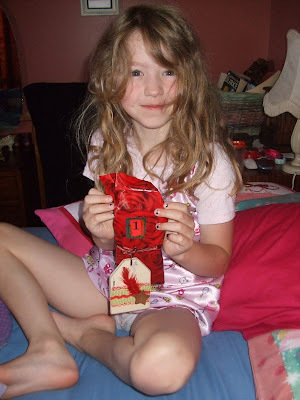 You had to make 12 identical gifts, send them off to Holly and in return you would receive 12 back. 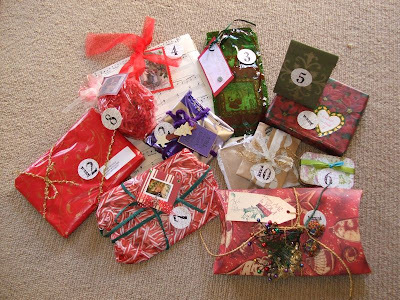 Women from different countries around the world participated in this swap. Here are the 12 gifts I received back. 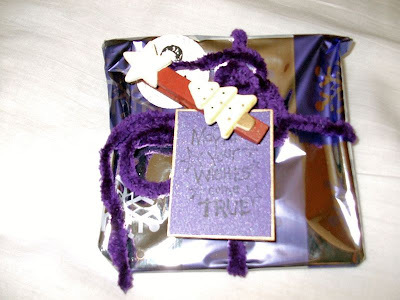 Each gift is wrapped so beautifully.